Urethane Cement Systems offer a number of characteristics highly beneficial to floors exposed to harsh conditions that would compromise other flooring systems. From thermal shock protection in kitchens to increased impact resistance in shop and warehouse environments to hydro-static pressure protection on slabs with moisture issues, Urethane Cement Systems do an excellent job of protecting the integrity of your floors. Urethane Cement Systems are also highly compatible with a number of top coat options offering versatility of appearance and protection from extreme conditions simultaneously. 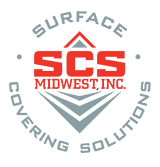 Decorative Vinyl Chip, Decorative Quartz, Epoxy and Chemical Resistant systems can all be installed on top of Urethane Cement offering a variety of aesthetic and functional options.